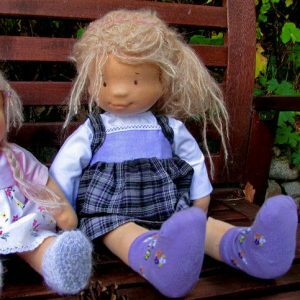 Learn how to make your own waldorf doll 17″ (43 cm.) with this easy to follow step-by-step guide. The instructions are perfect for beginners. 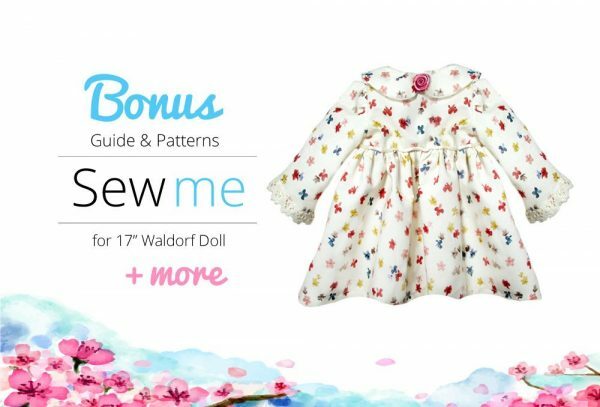 Included in the bundle is a print ready PDF eBook with 39 pages of instructions on how to create your own doll with 193 helpful photos and text information. 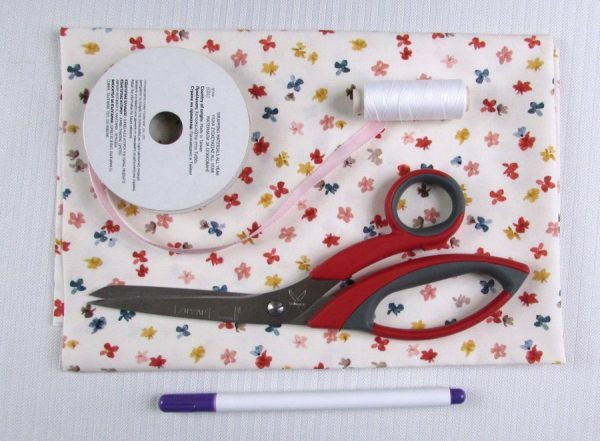 There are 6 pages of patterns and useful links are included throughout. 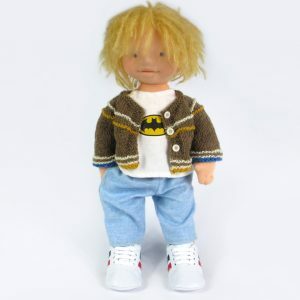 The doll is moveable and can sit upright. ♡ BONUS! 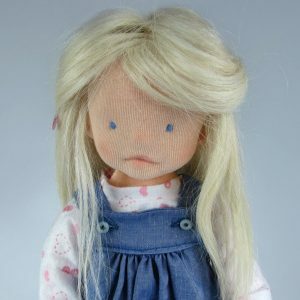 I’ve also provided instructions on how to modify the dolls mouth for two different looks. You will also learn how to make an adorable dress and super cute underwear for your doll. Print ready patterns are all included! Finished Size: ≈ 17″ / 43cm. 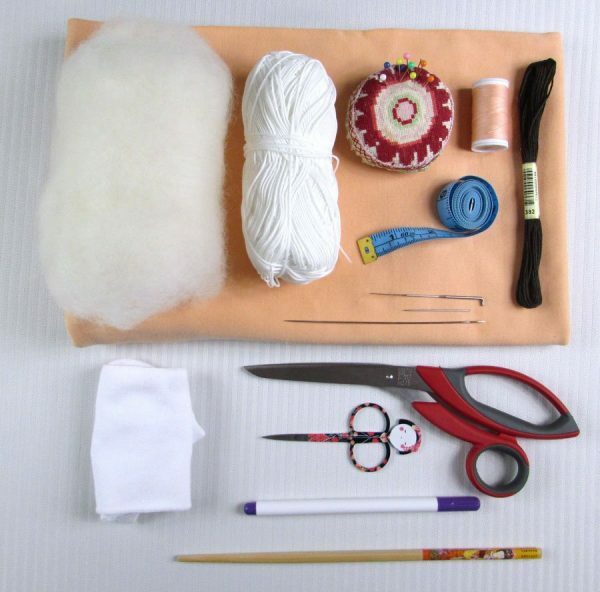 – How to Change Your Doll’s Expression!